Titus Andronicus Forever? It hasn’t even been a year since I penned a glowing review of the band’s latest monolithic rock opera, The Most Lamentable Tragedy, and already doubts have begun to creep in about the one quality it seemed to possess most abundantly: timelessness. Critics don’t always have the benefit of historical perspective, and one of the most difficult tasks about judging any album is forecasting how it might sound a year or two years or 10 years from now. Upon my first encounter with TMLT, I consumed it voraciously — every chord, every transition, every literary allusion stuffed into its 29 tracks and 93 minutes. It’s the kind of meticulously crafted artwork that rewards time poured into it with new insights and challenges. But it’s also, at the end of the day, a pop album, and one that exists within a music culture that doesn’t place a premium on permanence. We tend to forget songs and albums as soon as we figure out where to put them on our year-end lists, compartmentalizing our tastes annually to make room for whatever comes next. So maybe Titus Andronicus isn’t forever. Fine. Maybe no rock band can actually achieve what frontman Patrick Staples — he of the devilish eyes and massive unkempt beard — sets out to achieve every time he drops another collection of louder-than-life anthems on the unsuspecting world. Just before the band was set to go on stage at the Fonda Theatre in Hollywood, I looked around and noticed that the room was half-empty. Chalk it up to the Monday night, but with all that space to spread out in, this didn’t feel like the sweaty, frantic vibe that Titus Andronicus thrive on. When the curtain finally went up, Stickles appeared on stage alone to address the audience, imploring them to stay responsible and not create an unsafe environment for anyone. The warning was refreshing on one hand, but then again, it was hardly necessary given the lack of testosterone and electricity in the atmosphere. But then, after a few minutes of Stickles performing solo, the rest of the band joined him onstage, launched into TMLT standout “Fatal Flaw”, and reminded me of something I tend to forget when worrying about things like cultural longevity: Rock music doesn’t belong in museums. It’s a direct, visceral, and — yes — sometimes fleeting thing, buoyed not by critics but by the fans who turn on like hyperactive light bulbs as soon as they hear the first chord of their favorite song. Stickles has never been the picture of health, and these days he’s as gangly and as unkempt as ever. He also has the kind of throaty growl that always sounds like it’s about to give out — I was sure it was done for somewhere in the bridge to “Fired Up”, the centerpiece to TMLT’s “Magic Morning” suite. But he didn’t miss a beat, segueing immediately into “Dimed Out” and throwing the crowd into the first bona fide frenzy of the night. This is a talent unique to great rock frontmen, who can project the most chaotic persona possible and yet remain in complete control. 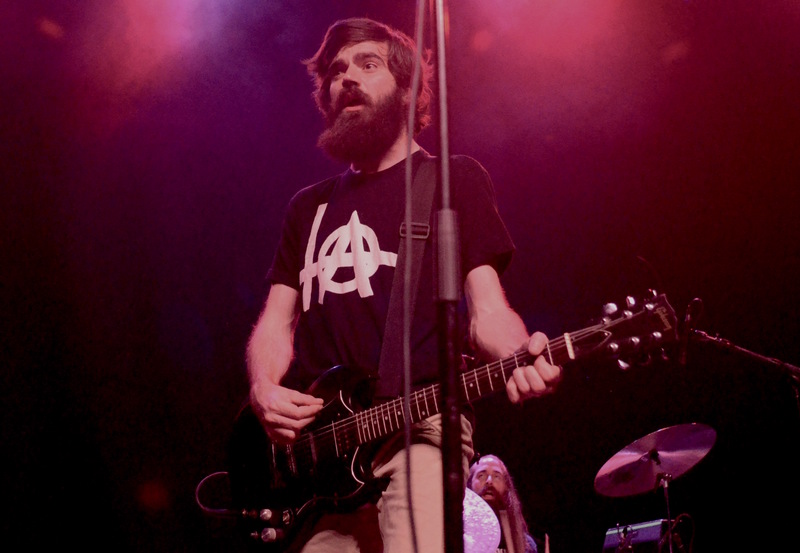 The dynamic between chaos and control is central to a Titus Andronicus show, which demands that the band stay locked in enough to navigate complex seven-minute odysseys but loose enough to skip and lurch across the stage. The award for the most impressive performance of the night goes to The Monitor’s opening track, “A More Perfect Union”, which contains all the highs and lows of an entire show within the scope of a single song. 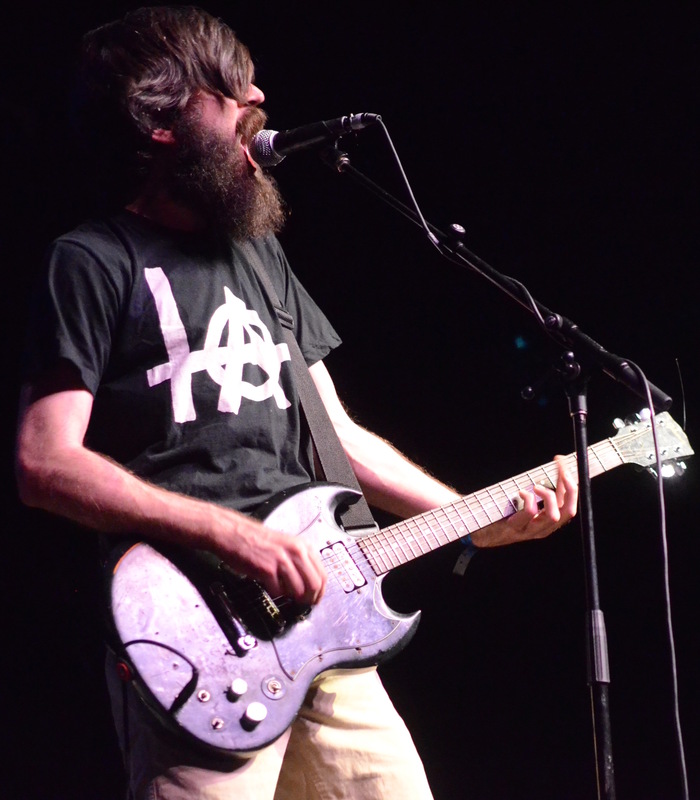 The band followed that up shortly thereafter with “No Future Part Three: Escape From No Future”, another Monitor cut that combines everything Titus Andronicus does well — loud guitars, anthemic shout-alongs — into one weighty package. 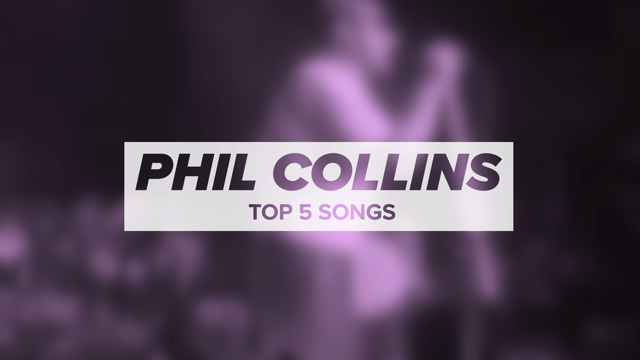 These songs seem destined to stand the test of time when experienced in a live setting, where their immediacy and sheer volume drown out more intellectual concerns. 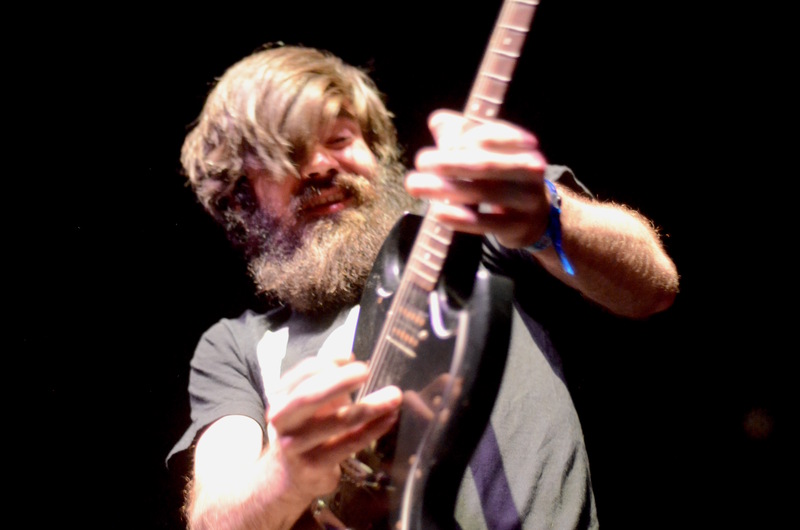 Indeed, it’s one thing to think about a Titus Andronicus song and quite another to let it wash over you, and the band made sure there was plenty of the latter at the Fonda on what might otherwise have remained a sleepy Monday night. So, is Titus Andronicus forever? It depends on whom you ask. If you ask the kid standing next to me for most of the show, his sleeve rolled up to reveal a still-glossy tattoo of the band’s logo, well, yes. If you ask the critics who hopped on the band’s wagon last summer only to follow the hype train elsewhere this year? Well, they’re a bit harder to convince. The best solution, as Stickles and his bandmates have found over the years, is just to drown them out with noise.